Two aspects of the Christian life are essential for taking hold of what God has for us: the development of maturity and the overcoming of the toxic effects of corrosive emotional problems. 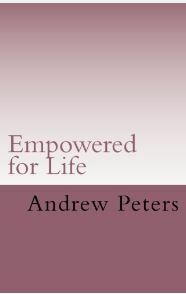 In the first section of this book, Pastor Andrew Peters takes us through three stages of Christian maturity and the road that leads to full maturity in Christ. In the second section, he helps us address the corrosive emotional traits that eat away at the core of our hearts. Outlining the effects of these emotional traits, he then outlines the biblical perspective on these emotional traits and shows how to overcome their impact in our lives.